Propagandists for the lower four Snake River dams like to depict recent salmon returns as "record runs." Most recently, Lt. Col. Tim Vail, of the Corps of Engineers, spoke of "record" salmon runs when he touted dam benefits. This self-serving assessment demands careful review. "Record runs" cannot describe the status of ESA-listed spring/summer Chinook salmon in the Snake River. The two-thirds reduction in redd counts depicts only part of the population decline. From 1957 to '61, fisheries in the Columbia River harvested half of all spring Chinook that entered the Columbia River. In recent years the harvest of spring Chinook, mostly by Indian fisheries, has amounted to less than 10 percent. Adjusting for this half-century drop in harvest, I estimate that wild spring Chinook salmon have suffered a decline in abundance of 80 percent rather than 65 percent. When discussing dam passage in the Snake River, the NMFS persists in using a "dam passage survival" objective (across the concrete) of 96 percent. But NMFS data typically show a survival of about 92 percent per dam project (pool and dam combined) for wild spring Chinook smolts as they pass through the several lower Snake projects. "Project mortality" through each of the eight main stem hydro projects accounts for the 50 percent overall survival to Bonneville Dam. More juveniles die after they reach the estuary from injury or stress incurred while migrating through the hydropower system. 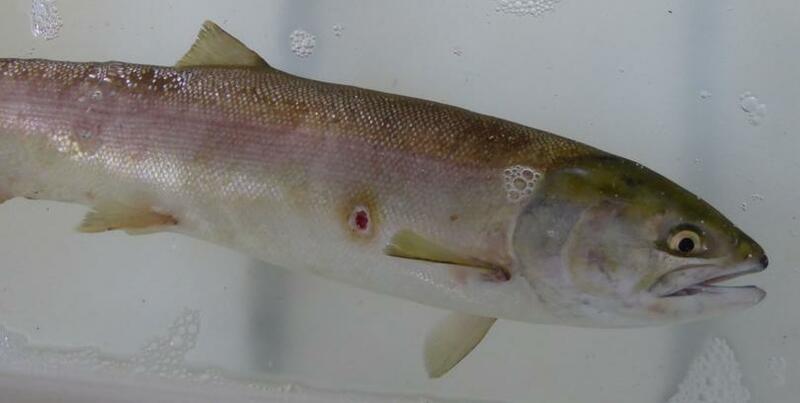 Also, NMFS reports indicate that the smolt migration experience affects their upstream migration success when they return as adults. Thus, "across concrete" loss is only a part of total project-related mortality. To increase toward recovery, wild spring/summer Chinook salmon must survive from smolt to adult at 2 to 6 percent (average objective 4 percent). Recent survivals have been less than 1 percent. Steelhead survival has also remained far below the recovery objective. Lt. Col. Vail's is just one voice among many that conveniently slide over that issue. As the Columbia River basin continues to warm over the coming decades, natal streams will produce fewer ESA-listed wild spring Chinook and steelhead juveniles to migrate seaward. Yet the new NMFS Biological Opinion fails to anticipate a need for main-stem river management that would substantially reduce "project mortality." It ignores studies of removal of the lower Snake Dams or increased spill, and relies on the wobbly crutch of habitat improvement. But habitat improvement has no utility for listed spring Chinook in tributaries in wilderness or primitive areas. Readers of propaganda from federal hydro operators and Port of Lewiston should beware the siren songs of "record salmon runs."